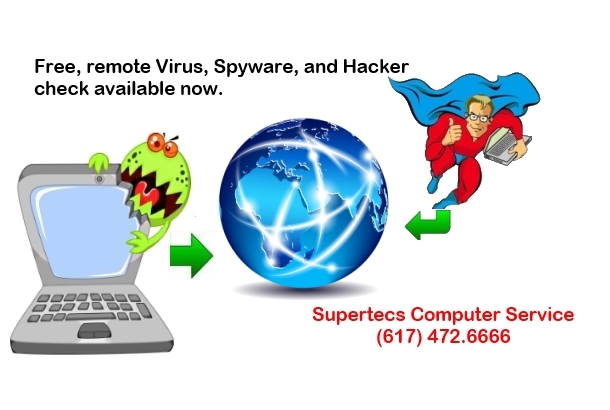 Supertecs 617.472.6666 | On-site Computer Service serving eastern Massachusetts and the entire Boston area. Remove a virus. 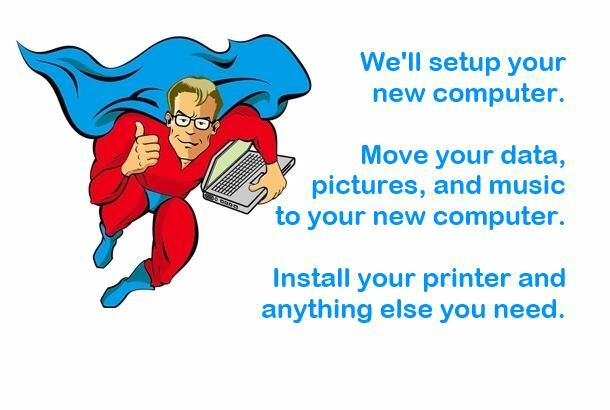 Install a new computer or printer. Clean a slow computer. Configure a WiFi router. Check your back-ups. 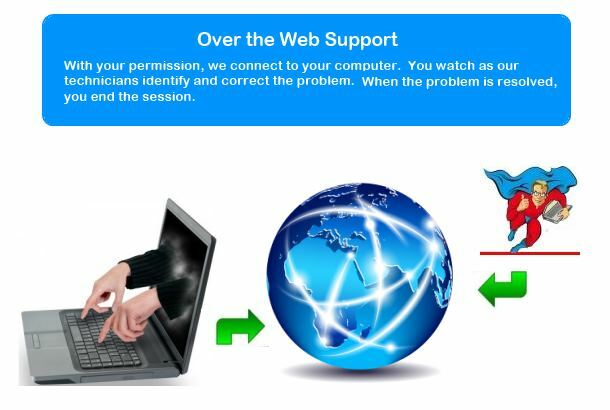 Repair your Internet Access. We'll find the right solution and get your system repaired as quickly as possible. "The server is down!" . . .
and you know your day is off to a rocky start. You've got to make a profit everyday. Payroll keeps climbing, customers are more and more demanding, less and less loyal, squeezing your margins as much as they can. 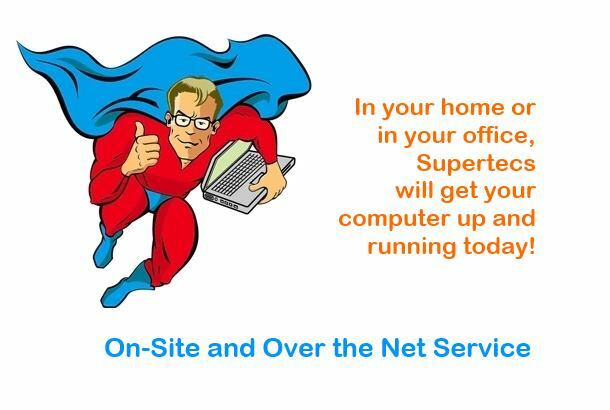 Supertecs, LLC locally owned computer professionals, encounter these same problems every day. Time is critical. You need to get up and running now. 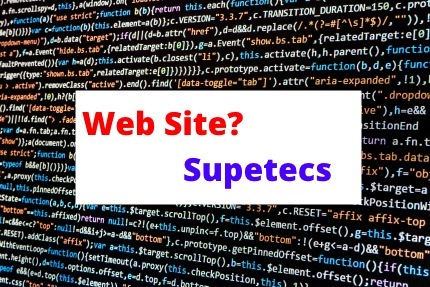 Regular maintenance, up to date backups, networking, security, and fast support are all features of Supertecs IT Services. Let us help. We'll be there at crunch time. In Massachusetts . . . North Shore, South Shore , Metro-West and the entire Boston Area. 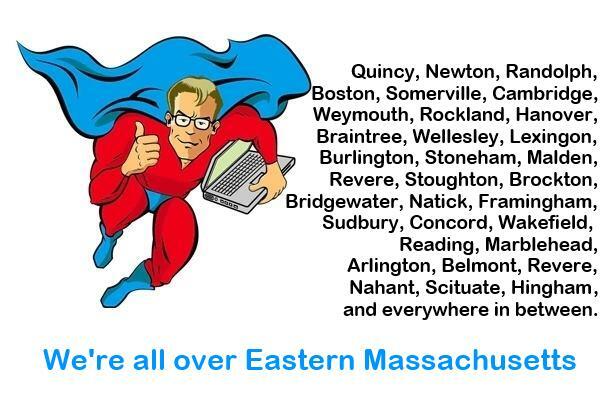 Cambridge or Somerville, Framingham or Natick, Waltham or Woburn, Melrose or Quincy. If you live here we'll set up an appointment to visit you today.